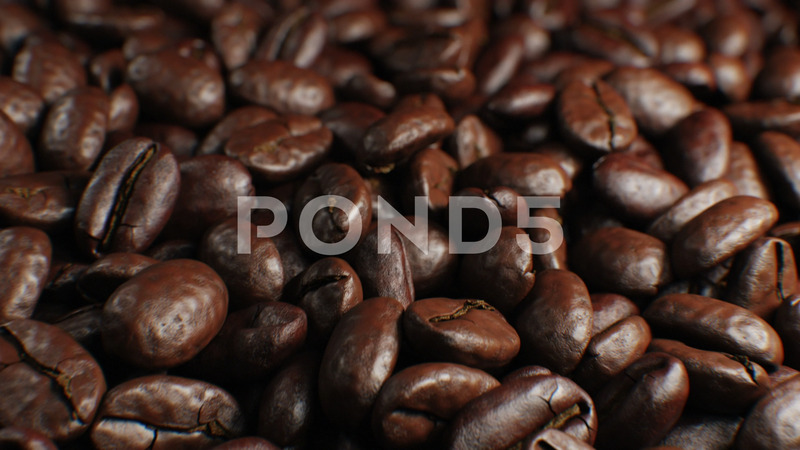 Description: Beautiful Roasted Coffee Beans Seamless Turntable Rotation Close-up Slow Motion CG Background. Looped Abstract 3d Animation of Realistic Coffee Beans on Table. 4k Ultra HD 3840x2160.